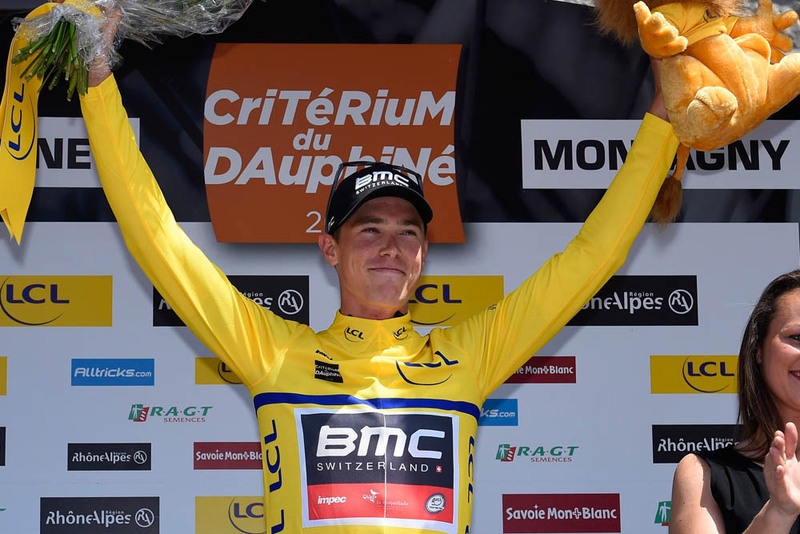 Peter Kennaugh (Sky) relinquished the overall race lead in the 2015 Critérium du Dauphiné on Tuesday, after Team Sky finished in sixth place behind stage winner BMC Racing Team. Team time trial world champions BMC put in a strong ride on the undulating 24.5-kilometre route from Roanne to Montagny, as Sky found themselves with a task of damage limitation after losing Ian Stannard and Wout Poels early on. Nicolas Roche appeared to be struggling with the pace, staying at the back of Sky’s line-up as an obviously strong Chris Froome took long turns at the front to drive them along. 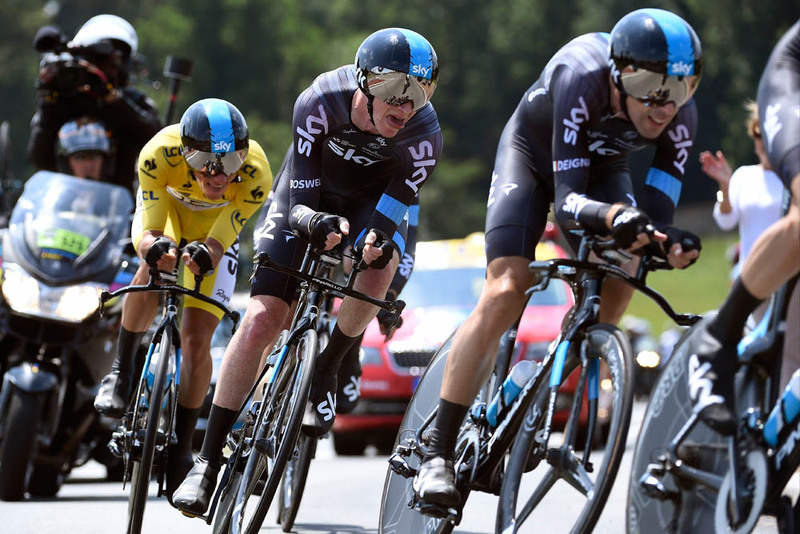 By the line, Sky had given away 35 seconds to BMC. Astana, with overall contender and 2014 Tour de France champion Vincenzo Nibali, finished in second place at four seconds and Movistar, with Alejandro Valverde and Briton Alex Dowsett, came home in third at five seconds. Rohan Dennis of BMC now takes the yellow jersey ahead of team-mate and overall race contender Tejay van Garderen. Andriy Grivko (Astana) is third overall at four seconds. Froome now has his work cut out in the remaining stages of the race to claw back the time deficit over rivals van Garderen, Nibali and Valverde. Defending Dauphiné champion Andrew Talansky also has a tall task ahead of him after his Cannondale-Garmin squad placed seventh at 43 seconds. The day turned out well for Simon and Adam Yates, after the British twin brothers’ Orica-GreenEdge team finished fifth on the stage. They are now 21st and 22nd overall, 23 seconds behind Dennis. The riders will face a hilly route on Wednesday on the fourth day of the 2015 Critérium du Dauphiné, with the longest stage of the race from Anneyron to Sisteron. Dennis should at least hold on to the race lead until the first mountain stage on Thursday, when the overall contenders will battle it out on the final climb to Pra Loup.